All Star Productions will present Irving Berlin’s rarely performed musical FACE THE MUSIC at the Ye Olde Rose and Crown Pub in Walthamstow, north-east London from 9 June to 3 July 2015, with an official opening on 12 June 2015. 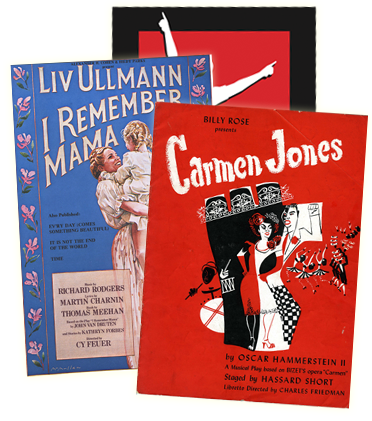 Featuring music and lyrics by Irving Berlin with book by Moss Hart, this production will be based on the Encores! concert adaptation by David Ives. It will be directed by Brendan Matthew with choreography by Sally Brooks and musical direction by Aaron Clingham. 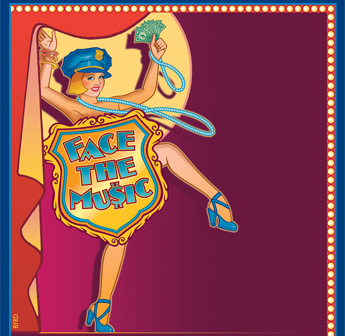 FACE THE MUSIC originally opened on Broadway in 1932, playing for 165 performances. It features the Berlin songs 'Let's Have Another Cup of Coffee', 'Soft Lights and Sweet Music', 'Manhattan Madness', and 'I Say It's Spinach (and the Hell with It)'. The cast will include Joanne Clifton (World and European Professional Ballroom Dancing Champion, Strictly Come Dancing pro dancer 2014) as Street Walker, David Anthony as Martin Van Buren Meshbesher, Laurel Dougall as Mrs Myrtle Meshbesher, Samuel Haughton as Hal Reisman, Joanna Hughes as Kit Baker, Alessandro Lubrano as Pat Mason, James Houlbrook as O’Rourke, Ceris Hine as Pickles Crouse, Lewis Dewar Foley as Joe Marlarkey, Lewis Asquith as Rodney St Clair, Ross McNeill as Uncle Sam, Kirsten Stark as Pratt Sister, Emily McAvoy as Pratt Sister and Daniel-James Webster as Defence Lawyer. Visit www.allstarproductions.co.uk for information about this production. For more information about the show, click here.